Omnibar, a small Montana-based company that produces a unique, high-nutrition food bar, was seeking new markets for the high-grade, grass-fed cattle reared on the family ranch in Montana’s Blackfoot River Valley. This case study examines how the company overcame the packaging challenges associated with its unique product. 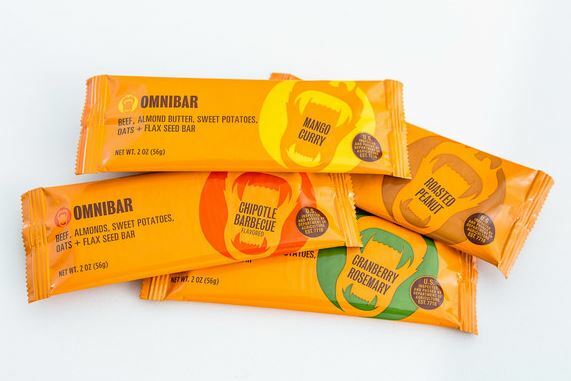 Omnibar is a small, innovative company based in Missoula, Montana, US that produces a unique high-nutrition food bar in which the protein content is provided by top-quality beef. Other ingredients include sweet potatoes, organic oats, flax seed, almond butter and plums. Since they first appeared on the market in 2013, Omnibars have proved a popular hit with endurance athletes, seeking a calorie-dense food that also has a substantial protein component. The company was founded by Cooper Burchenal, who was seeking new markets for the high-grade, grass-fed cattle reared on the family ranch in Montana’s Blackfoot River Valley. “We came up with the idea for a calorie-dense food bar that could use beef as the protein in 2010,” says Cooper. “At the time, everyone thought we were crazy, and some of our initial prototypes suggested they might be right.” But after three years of intensive experimentation and market testing, the team finally arrived with a formulation that finally hit the spot – “think savoury jerky meets a soft fruit leather” is how the company describes the product.